This postcard photograph, submitted by Greenfield resident George Foltz, shows the old Rucker’s Quarry in Greenfield many decades ago. According to Foltz, stone from the quarry was shipped on the B&O Railroad to Cincinnati and other destinations and was used to build the stone houses in Greenfield. 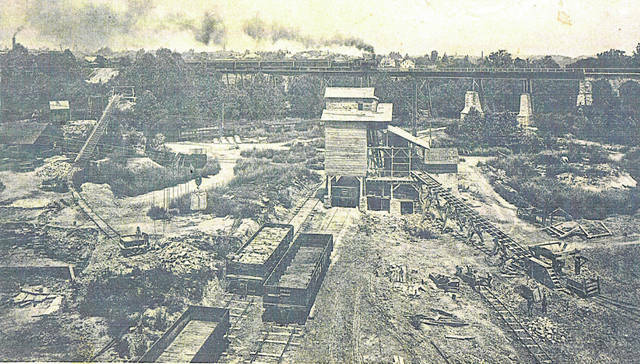 The quarry was located near the present site of Felson Park in Greenfield and Foltz said Paint Creek ran under the bridge in the back of the photo. The bridge is still in use today.